Experienced dog-walker and cat person seeking to help busy people meet their pet's needs. Hello, my name is Chase. I'm a 25 year-old animal lover looking to apply my experience caring for dogs and cats in the Cranston/Warwick/Providence area. I am available immediately. I have experience caring for and playing with both dogs and cats. I can walk, pet-sit, play, and feed either. I have owned many dogs and cats in my life, and have dog-sat before, including for an insecure and occasionally aggressive dog. Some of the cats I've had in my family were very timid, and others were very sociable and playful- I am comfortable with either personality type. I live in Cranston, Rhode Island, and am willing to travel within a 25-minute radius. I have a vehicle. Give me a call or a text, and I should reply shortly! I can answer any questions you have. 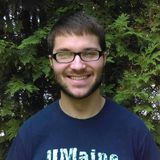 I graduated from the University of Maine in 2016. Besides my interest in animals, I enjoy writing, reading and playing music. I'm also a very active person and love to exercise.